Here you will find a summary of news pieces that we have been publishing throughout the years. In late mortgage market news, Fannie Mae's CEO and board of directors announced a shuffling of the executive suite. No doubt these moves were to restore confidence in the rapidly falling mortgage finance giant. In late mortgage market news, Fannie Mae's CEO and board of directors announced a shuffling of the executive suite. No doubt these moves were to restore confidence in the rapidly falling mortgage finance giant. Daniel Mudd, the company's chief executive officer, will remain in place while Steve Swad, the chief finance officer and Enrico Dallavecchia, the chief risk officer were replaced. Current chief business officer, Peter Niculescu, in contrast, had his role significantly expanded in the new executive line-up. Board chairman, Stephen Ashley lent support to Mudd's position stating that "The board of directors is firmly committed to Dan Mudd...[and] will continue to work closely with Dan and his management team to guide the company and support the housing finance system through a very challenging period." Fannie Mae has lost nearly 90% of its share value over the last year as it battles the mortgage meltdown. Financing or insuring more than 50% of US mortgages it has been crushed by the wave of defaults, foreclosures, and simultaneous free falling housing prices. Hoping to restore confidence, short of a bailout, recent legislation gave Secretary of the Treasury Henry Paulson broad powers to infuse cash into the ailing government sponsored entity (GSE). However, this seemed only to encourage the market to assume this is the forgone conclusion, resulting in nationalization and wiping out shareholders--assumptions that put Fannie and Freddie shares into a steep dive toward zero. Mudd reassured stakeholders that these moves were to address the critical points of risk and uncertainty swirling around Fannie Mae. "This team will be responsible for conserving capital and controlling credit risk," Mudd explained in his statement. Trading was briefly suspended for the announcement and fell as the day ended. However, the shake-up seems to be easing concerns lifting Fannie Mae and Freddie Mac throughout after-hours trading. Most experts cite the management adjustment necessary, but still lays the ultimate solution at the feet of policymakers. The Obama administration is pressing Fannie Mae and Freddie Mac to participate in a new program designed to reduce mortgage debt for homeowners who owe more than their property is worth, the Wall Street Journal is reporting. The new program, launched by the Federal Housing Administration in September, provides incentives for banks to write down "underwater" mortgages by at least 10 percent. Called the FHA Short Refinance Option, the program's goal is to reduce the likelihood of default or foreclosure for those homeowners, and thereby help prop up the housing market as well. However, the WSJ reports that only a handful of mortgages have been modified under the program during its first three months. Since Fannie Mae and Freddie Mac back the majority of U.S. home mortgages, it's thought their participation is essential for the program to get any traction. The two government-backed lenders are said to be leery of the program, which could add onto the $134 billion in losses they've already incurred in the housing downturn. Fannie Mae has already declined to participate in the program, while Freddie Mac is said to be considering it. But the administration apparently is not willing to take no for an answer and is said to be pressuring the two government-backed agencies through the Federal Housing Finance Agency, which is their regulator. The paper cited unnamed persons familiar with the negotiations as its sources. The main incentive for lenders to participate in the Short Refinance Option is that, in return for marking down an underwater mortgage by at least 10 percent, it can then be refinanced into an FHA mortgage, with the FHA assuming any further risk. So the lenders can be sure of getting up to 90 percent of their money out of a loan that might otherwise default, as well as other financial incentives. But so far, lenders haven't seemed to find it that attractive, at least, not without Fannie and Freddie on board. The paper reports that only three mortgages have been modified under the program in the three months since it was launched. Freddie Mac will eliminate its streamlined mortgage refinancing option this spring, the lender has announced, but borrowers will still have a simplified option for refinancing mortgages held or backed by the government-supported enterprise. The streamline refinance option will no longer be available as of May 1, lender announced Monday. However, another option - the newer Relief Refinance - will continue to offer borrowers most of the same benefits. "I don't think it could be read as a curb on a borrower's options for a refinance," said Brad German, a Freddie Mac spokesman. German said the streamline refinance was "sort of overtaken by events" with the Relief Refinance, which is Freddie Mac's version of the government-backed Home Affordable Refinance Program (HARP). Both the streamline refinance and Relief Refinance - Same Servicer options allow homeowners with a Freddie Mac mortgage to refinance without providing proof of income or employment. That can be a boon for homeowners who have seen their incomes decline and want to refinance at a lower interest rate. Homeowners may still need to need to obtain an appraisal, although that is not specifically required. However, the Relief Refinance - Same Servicer and streamline refinance options both require that the seller of the new loan verify that the property has maintained its value since the original appraisal, which would exclude underwater homeowners from the no-appraisal option. 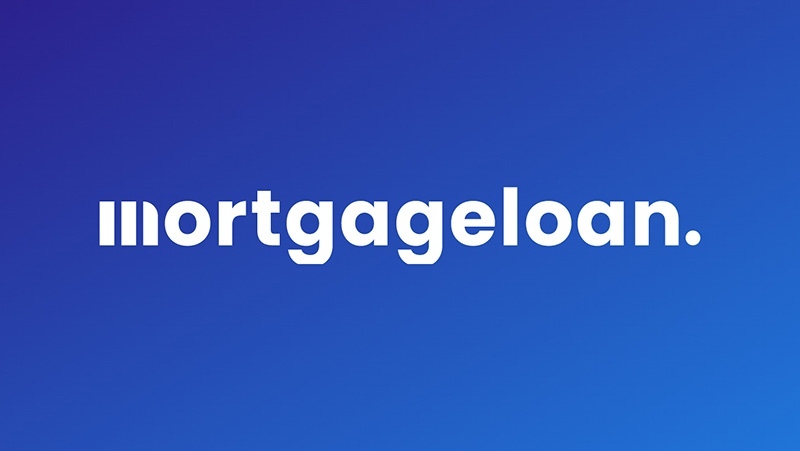 Other streamline-type mortgages, such as those for FHA and VA mortgages, do not require a new appraisal, allowing homeowners to refinance their mortgages despite declines in property values that have left them underwater on their loan, owing more than the property is worth. Because it is part of HARP, the Relief Refinance option does allow refinancing mortgages at up to 125 percent of a home's current value, providing a refinance option for underwater homeowners, although an appraisal is still required. Freddie Mac also offers a Relief Refinance - Open Access option that allows a homeowner to refinance through any lender, although that route does require fully qualifying the new loan. After May 1, all other Freddie Mac mortgage programs except the Relief Refinance - Same Servicer option will require verification of funds, the lender announced Monday. Fannie Mae has reported a record profit of $17.2 billion in 2012, resulting in an $11.6 billion dividend paid to taxpayers, the lender reported today. That's a complete turnaround from the $16.9 billion in losses the government-held lender suffered in 2011. Fannie Mae officials attributed the improved performance to a strengthening housing market, lower delinquency rates on outstanding mortgages and resolution agreements reached with Bank of America for mortgage defaults. Fannie Mae generated $7.6 billion in profits during the fourth quarter of 2012, which also set an all-time record for the company. "Solid business fundamentals such as improving performance of our book of business and improvements in the housing market led us to report the largest annual and quarterly net income in the company's history," said Susan McFarland, Fannie Mae chief financial officer. "We expect to remain profitable for the foreseeable future and return significant value to taxpayers." The dividend paid to taxpayers last year is one-tenth of the $116.1 billion the lender has drawn from the Treasury since 2008 as part of the bailout that resulted in Fannie Mae and its sibling Freddie Mac being put in government conservancy under the Federal Housing Finance Agency. Through the first quarter of 2013, Fannie Mae has paid $35.6 billion in dividends to the Treasury since going into conservancy, leaving a total deficit of $80.1 billion. Last year was the first since 2008 that Fannie Mae did not draw any funds from the Treasury to support its operations. Though Congress and federal regulators have been moving toward winding down Fannie Mae and Freddie Mac and establishing a new entity(ies) to take over their role in the residential mortgage market, Fannie Mae remains nation's the largest issuer of single-family mortgage securities, accounting for 49 percent market share in 2012. Homebuyers interested in a foreclosed property held by Fannie Mae can get a special incentive to help with closing costs, but they need to act quickly. From now through the end of March, homebuyers who make an offer on a Fannie Mae HomePath property in certain states can qualify for closing cost assistance equal to up to 3.5 percent of the purchase price, the company has announced. The temporary offer is available to buyers purchasing a home for their own use or for certain public entities, but not to those seeking to buy investment property. "This incentive will provide more opportunities for families to find a property to call home," said Jay Ryan, Vice President of REO Sales. "Our goal is to sell as many HomePath properties as possible to owner-occupants who will stabilize neighborhoods and help the housing recovery." HomePath is Fannie Mae's program for selling foreclosed, or Real Estate Owned (REO) properties that have come into its possession. To qualify, homebuyers must make an offer on a property during what is called the First Look period, when it is made available to owner-occupants or public entity buyers only, without competition from investors. That period was recently extended to 20 days, up from 15 days previously. Borrowers can not only use their incentive to reduce their standard closing costs, but in some cases may be able to use it to reduce their mortgage rate by applying it toward the purchase of discount points. To qualify for the incentive, buyers must make an offer on a HomePath property by March 31, 2013, and close by May 31, 2013.